Broadoak suggest that you visit these sites when planning your wedding. Manchester Wedding Photographers - Award Winning Manchester Photography. Cheshire Wedding Photographers - Award Winning Cheshire Photography. "Kiss the Bride" is a range of personalised wedding accessories, by Kathryn Frankish - a craft based designer maker. Each item is individually hand made to order to suit your bridal colour theme and to complement your jewellery. Hand made gold and silver tiaras, jewellery and stationery for weddings and special occasions. Wedding Day Photos by Geoffrey A. Stemp LBIPP. Frederic Sharp adds that extra touch of magic. 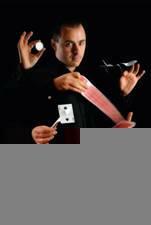 He entertains your guests during the photographs and performs table magic during the wedding breakfast. Frederic has over 10 years experience and has performed at hundreds of weddings at many exclusive venues in the UK and abroad. Wedding Car Hire Advertising - List your Wedding Cars on the UKs number one wedding car hire search portal - WeddingCars.co.uk.